HOW CAN I HOLD ONTO THIS EARTH? is a multidimensional poem. 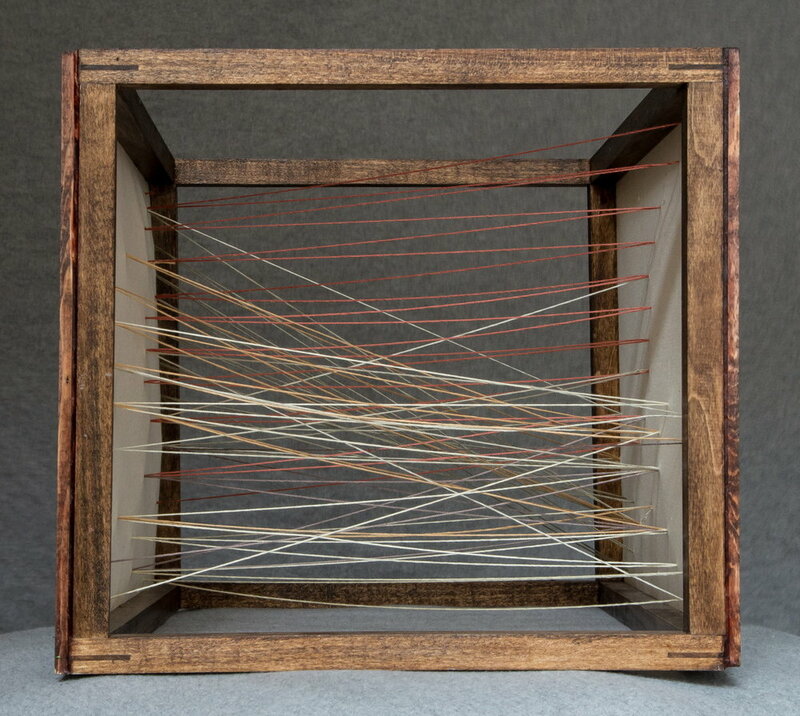 The book is a wooden box, the pages are made of canvas, and it is bound with embroidery floss. 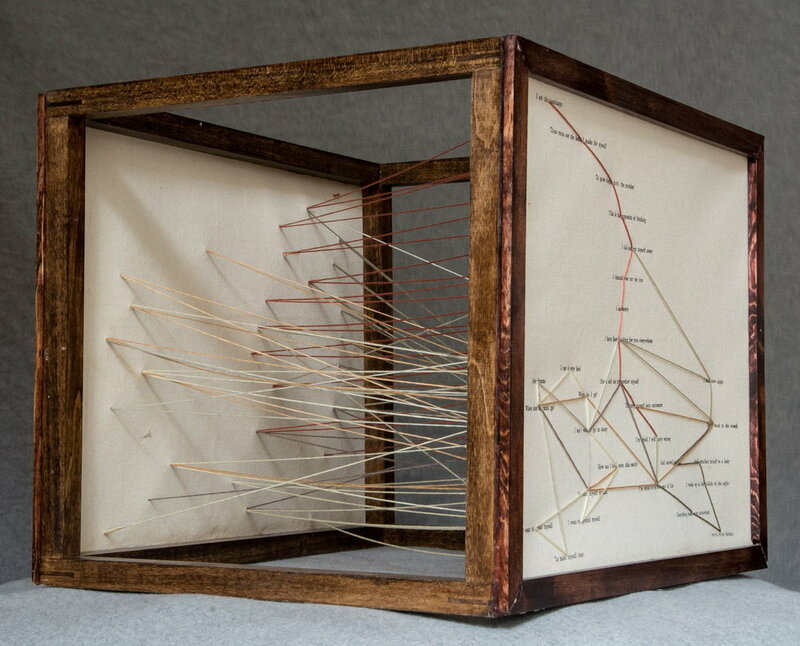 The strings connect lines on each page, and they connect across the central void. 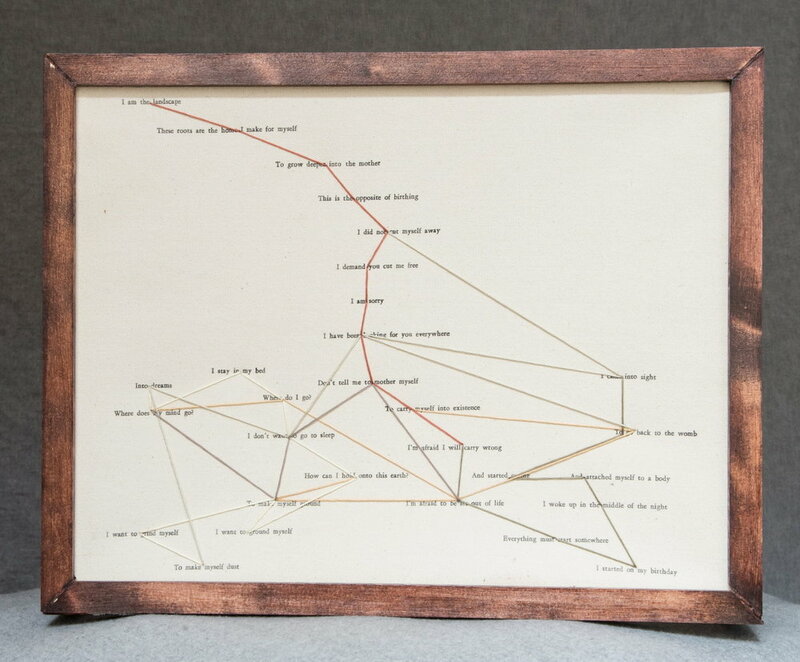 The poem can be read in many directions, depending on which strings you follow.